I am working on a couple of patterns at the moment and a skirt tutorial that will be ready in a couple of days. In the meantime I thought I would share a nice way to do a hem if the fabric is sheer or thin. 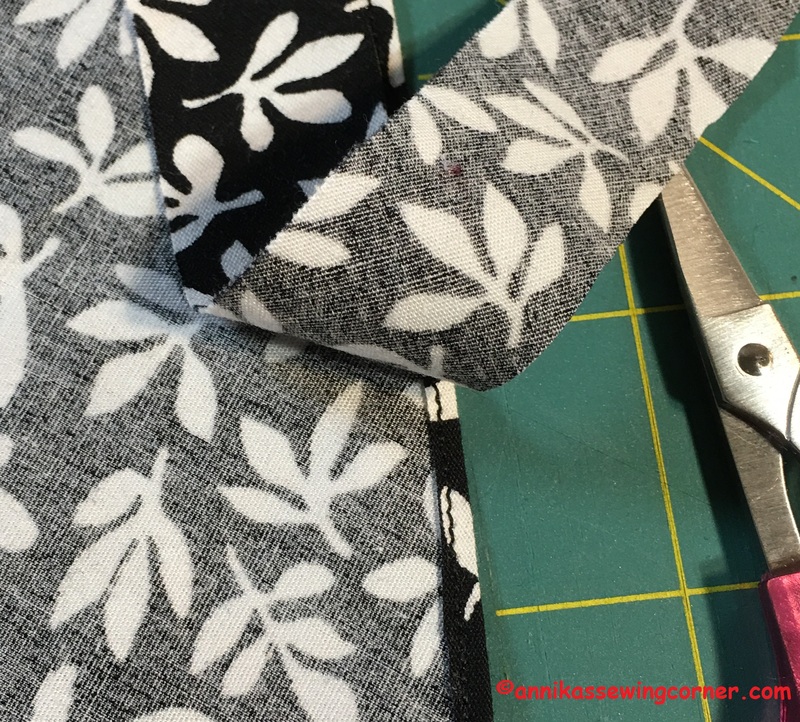 A rolled hem on an overlocker is always nice but if you don’t have one this is a good option. 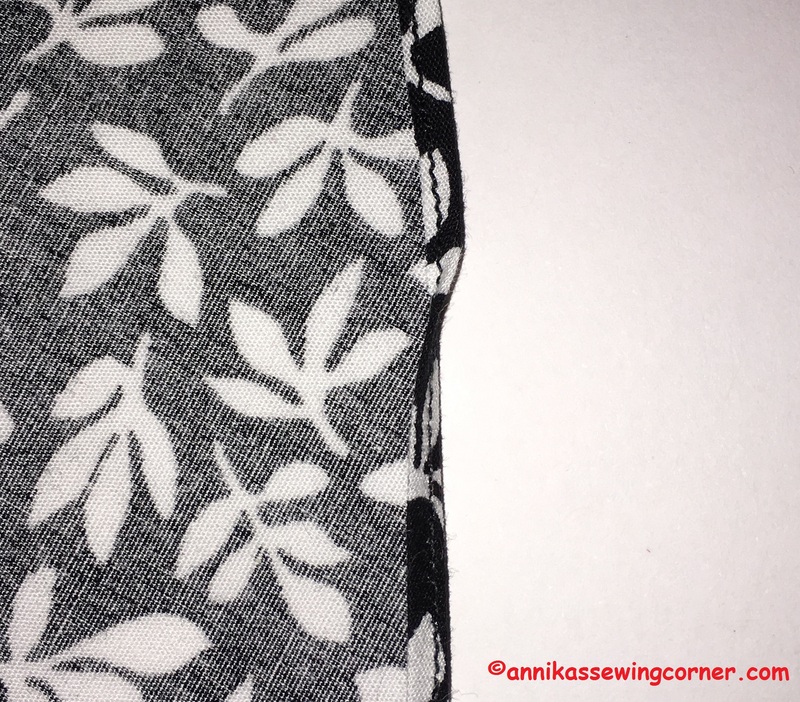 The blue and white hems in the picture is a rolled hem made on an overlocker and the black and white fabric is this version. 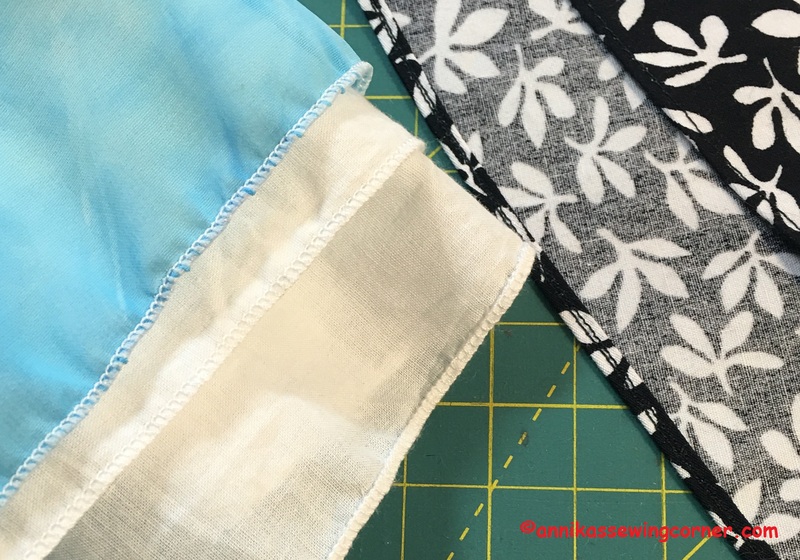 Fold and press a hem so the garment is about 3mm or 1/8″longer than you want it. 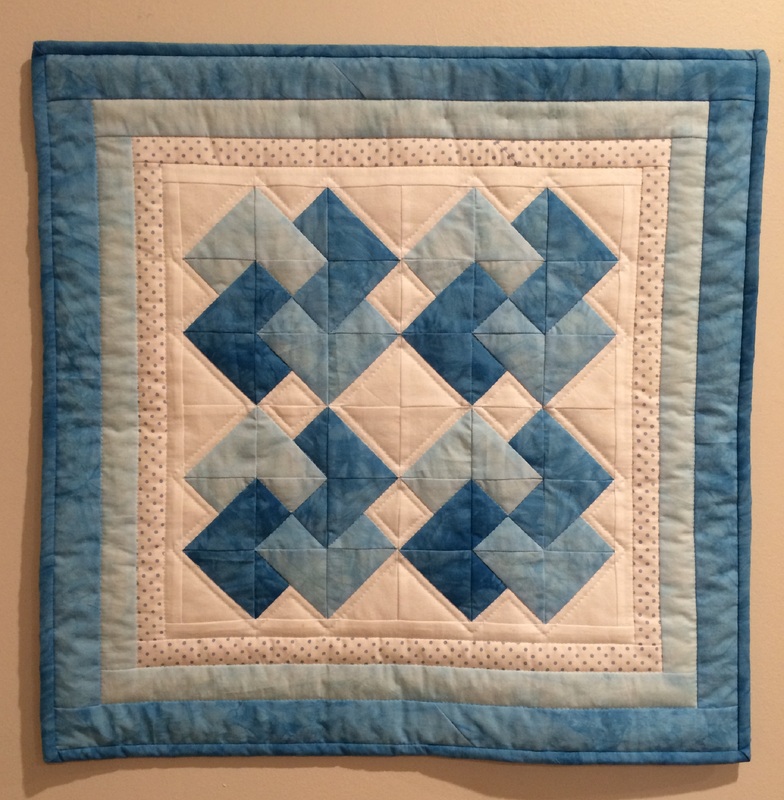 Stitch as close to the folded edge as possible. Then cut the folded bit off, close to the seam. Make sure not to cut the stitches or the skirt. Fold the little hem one more time and stitch on top of the original seam. 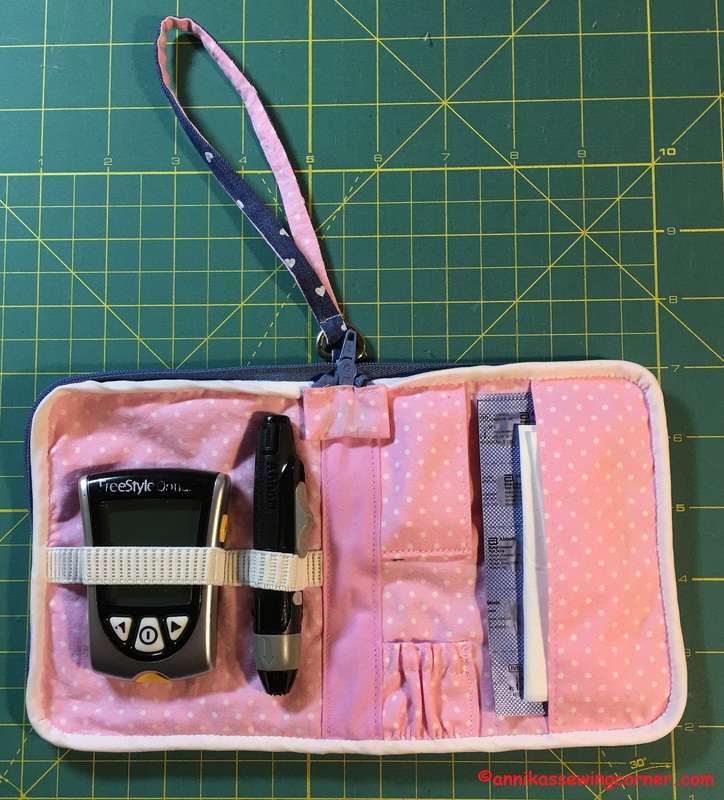 Yesterday I finished another unusual sewing project, I made a new case for my daughter Sara’s blood glucose meter. She has had type 1 diabetes since she was four years old, she is 17 now. 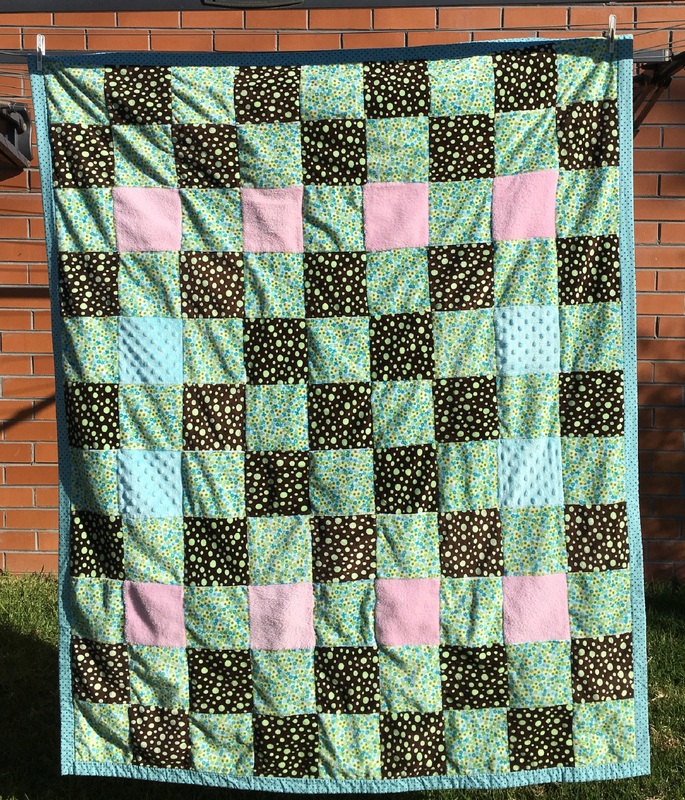 I love it when one of my kids asks me to make something for them. It turned out pretty good. 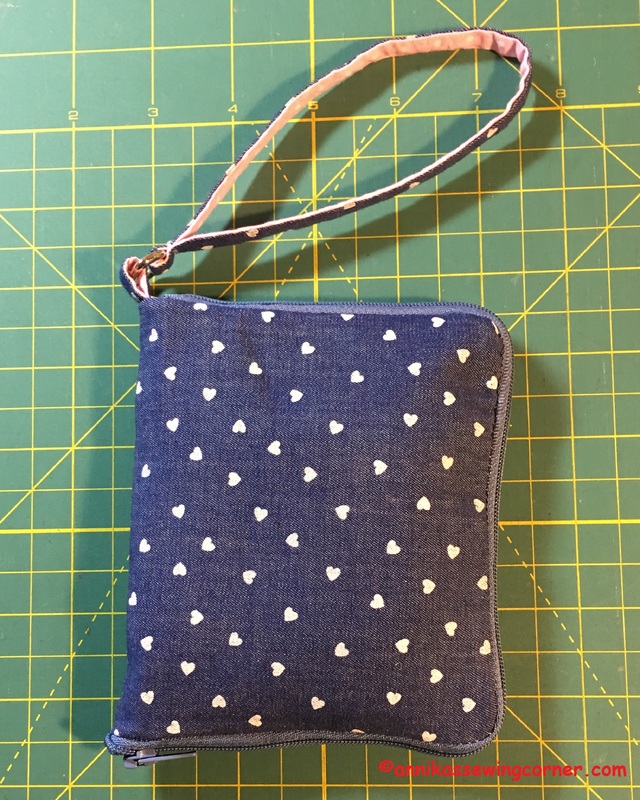 She chose a denim print for the outer fabric and a pink polka dot fabric for the lining. She also told me what features she wanted, like a handle. I had a medium woven interfacing on the outer fabric and a thin batting on the lining. I also had interfacing on the inside pockets. I sewed the outside, lining and zipper together in one seam and covered the seam with bias tape. One of the pockets are gathered at the bottom and has elastic in the top edge. A big advantage of a homemade one is that it can be washed in the washing machine. A good thing, since it goes everywhere with her. After one day of using it, she is very happy with it. 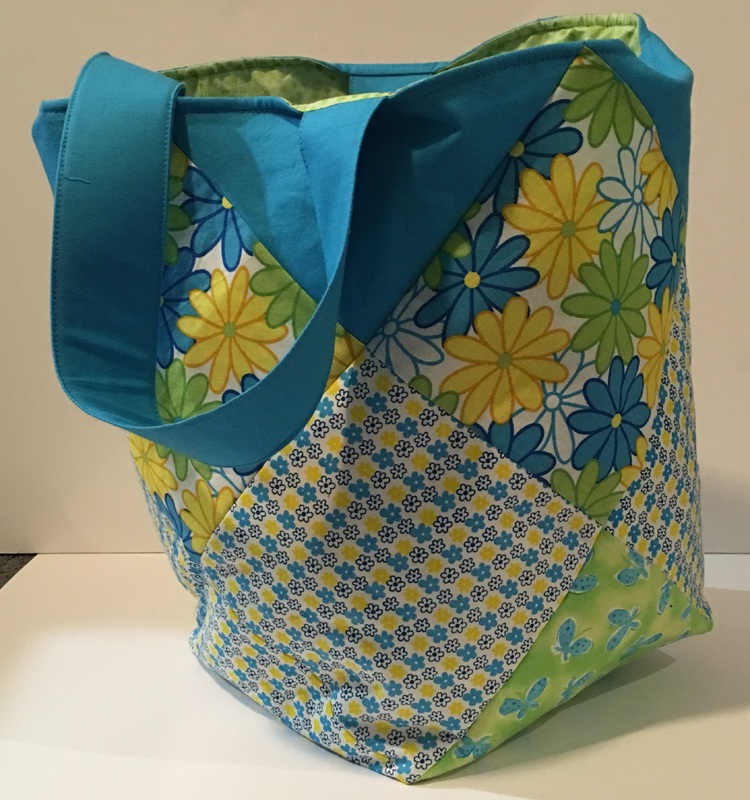 If anyone is interested, I will make a pattern and a tutorial here on the blog. Please leave a comment and let me know what you think.